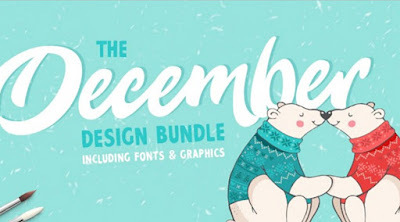 Friends, new December bundle from TheHungryJPG is HERE!! Crammed full of over 48 different product packs including over 70 beautiful fonts and some stunning graphics collections. Grab this gorgeous collection at 96% OFF RRP, before its expires at the end of December 2016. A huge saving of $684. As always this pack comes with a complete commercial license, allowing you to use each product across a wide range of commercial activities.